We hope you enjoy your visit to the beautiful Wisconsin Dells area. The campground is a family owned business purchased in 1980 and originally called Circus City Campground. 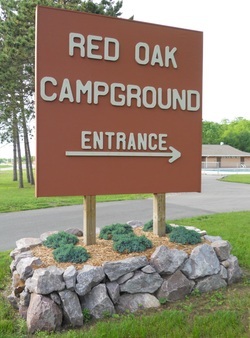 It was later renamed Red Oak Campground in 1994 by the next generation of owners. The campground is now 30 acres in size with new facilities built in 2008. We hope you have a pleasant stay with us. For information about the local area and events, visit the Wisconsin Dells Visitor and Convention Bureau's website www.wisdells.com.